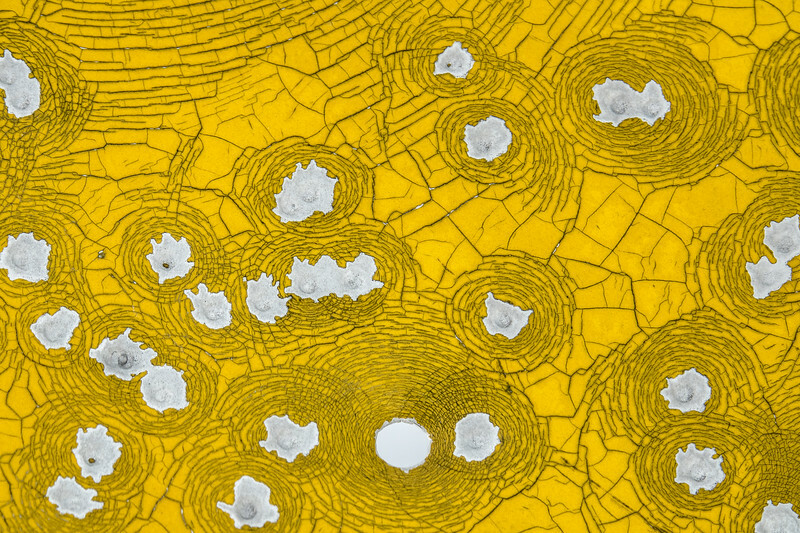 Bullet scars in a road sign along Old Highway 61 in northeast Minnesota. "Skidder on Old Highway 61"
I got pretty excited the other day when I was driving along Old Highway 61 in Grand Portage and saw this skidder coming down the road. I pulled over right where there is an intersection and waited for the machine to get closer. When it got to the intersection it turned and went West on the Old Highway. 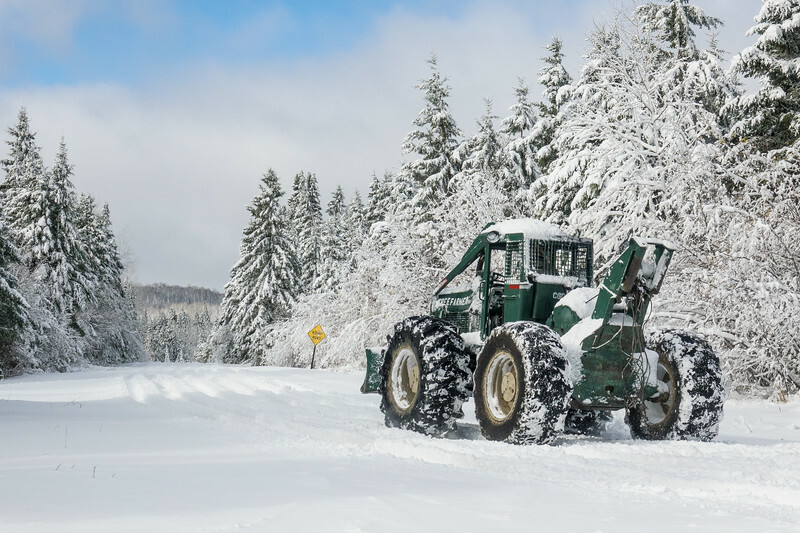 It made for a great shot with the quarter view of the skidder flanked by the snow covered trees on both sides of the road. Brrrr it's cold out there! Winter seems to have arrived early this year. We already got a bunch of snow, now we're getting the cold. 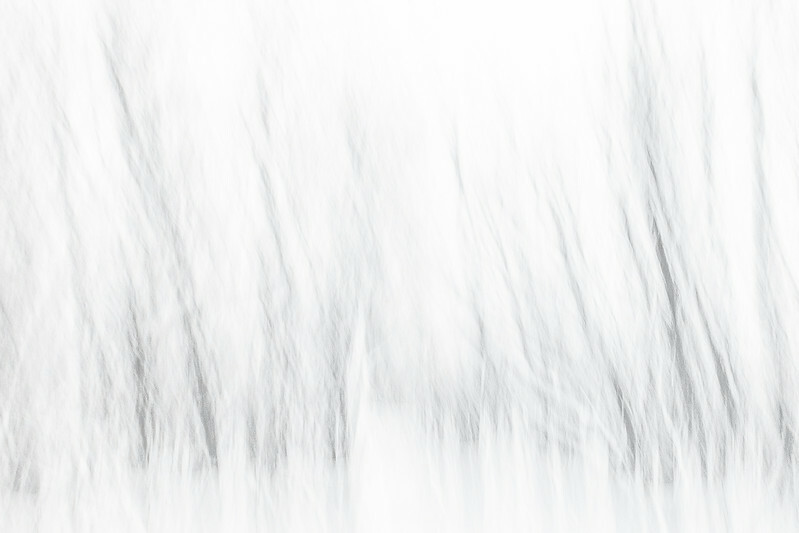 This morning the temperature was barely above zero degrees, which means we're getting an early taste of winter's beauty. The rocks adjacent to High Falls at Grand Portage State Park have a lovely frosted look today. 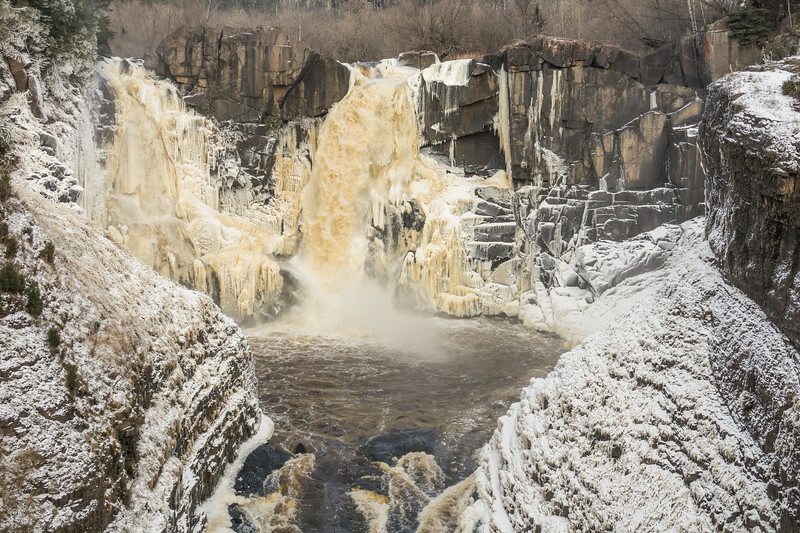 One of the prettiest times of the year to view High Falls on the Pigeon River is late fall/early winter, when the river is beginning to freeze. 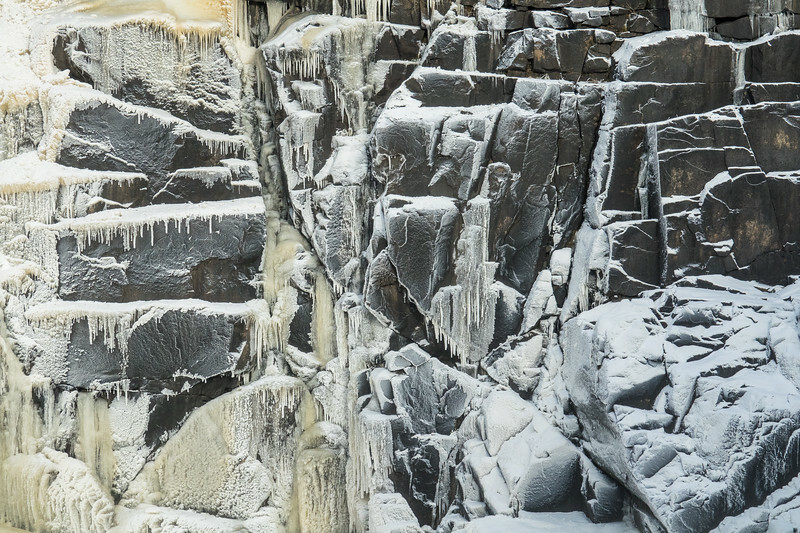 I'm always amazed at the beauty of all the ice formations that build up around the waterfall and throughout the gorge. November 10 is a little early to have this much ice buildup already, but it looks like it might melt as the temps are supposed to get back up to the low 40's next week. 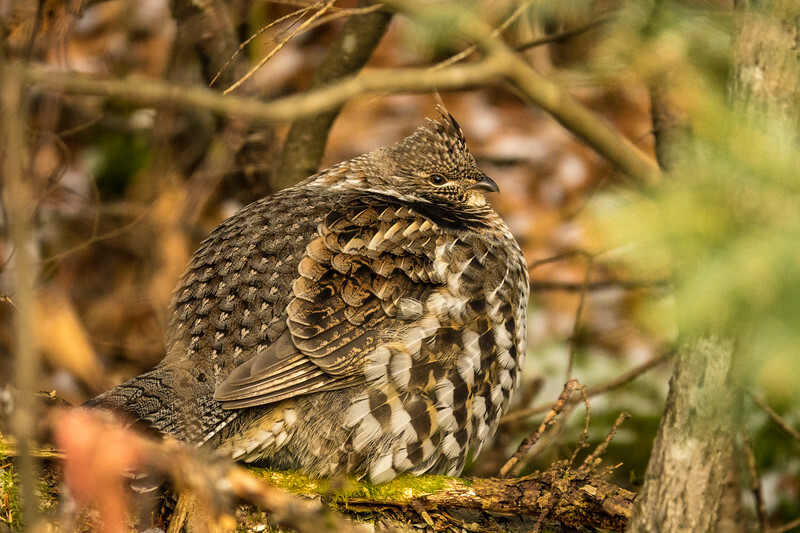 A couple of mornings ago when the temp was just above zero I went for a walk in the woods and came across this Ruffed Grouse. He was all puffed up to stay warm on the brisk morning. He sure was cute! "A beautiful day for a hike!" 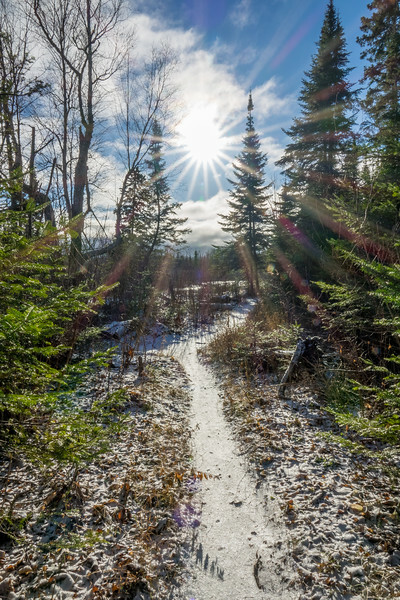 From an early morning hike recently at Grand Portage State Park in northeast Minnesota. A cold morning with glorious sunshine!